How to comply with the Committee of Advertising Practice Code. What is the Committee of Advertising practice? The Committee of Advertising Practice (CAP) sets rules for advertising in the UK. Alongside the Advertising Standards Authority – which polices and enforces advertising standards – the CAP Code delivers ‘regulation for non-regulated firms’. 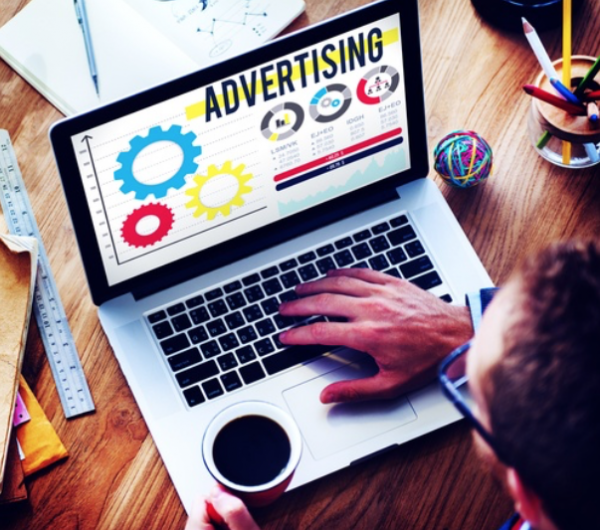 Any company advertising in the UK, even if not governed by an industry body like the Financial Conduct Authority – needs to abide by its rules. How do you know if it applies to you? The CAP Code’s full name is ‘The UK Code of Non-broadcast Advertising and Direct & Promotional Marketing’. The CAP website has more detail on the scope of the Code. But – as the website itself points out, there is no clear definition of ‘advertising’ or ‘marketing communication’ – which can make it tricky to ensure compliance in an ever-changing marketing and digital landscape. What’s in and out of remit? To help, the CAP website outlines the types of communication or material that fall in remit (IR) and out of remit (OR). Here we look at a few. Generally out of remit, although if a product or its packaging appears in an ad – the so-called ‘pack shot’ – it is in remit. Point of sale displays are OR – unless they include promotional marketing, in which case they are IR. IR if in a paid-for space, like a poster or press ad. But OR if they are in non-paid for space – such as a leaflet, a social media channel or the campaigner’s own website (not paid-for web space). Claims in ads whose principal function is to influence voters in an election or referendum are OR. Although ads by central or local government that do not concern party policy (for example, on road safety) are IR. CAP defines ‘ambient media’ as things like carrier bags, petrol pumps or beer mats. These can be in or out of remit, usually depending on the message and whether a payment has changed hands. An advertiser advertising on their own premises or vehicles would be OR. …But if they rent space on their property or vehicle to another business to promote themselves – this is IR. Promotional marketing in non-broadcast media. This can cover – in CAP’s words ‘a wide range of techniques from simple ‘buy one get one free’ offers to multi-stage competitions with online votes and judging panels’ Here, all stages of the promotion are IR. There is more detail about this on the CAP website. Paid-for space, such as banner ads is IR. ‘Claims on marketers’ websites and in non-paid-for space online under their control (e.g. Twitter / Facebook) directly connected with the supply of goods or services, opportunities, prizes or gifts’ is also IR. As are direct solicitations of donations as part of fundraising activities. For example, newspaper or magazine articles, is OR, although paid-for articles (advertorials) are IR. For non-regulated firms, the Code and the extent to which their marketing activities are regulated can come as a surprise. If this is news to you, LS Consultancy helpfully offers an Advert Review service so you can check how your activities fit within the rules. For regulated businesses, CAP and the attentions of the ASA represent another element of regulation for Marketing and Compliance teams, alongside financial promotion requirements of the Financial Conduct Authority (FCA) or other industry regulator. Ensuring you measure up to the standards set by both CAP and your own regulator is essential. The good news is that often, the criteria of both are very similar. Both are concerned with fairness; ensuring that products and services are presented in an honest and transparent way. Whether or not you are covered by the FCA or another industry body, the CAP Code applies to your marketing and promotional activity. Take time to learn what CAP looking for, and your regulatory compliance across the board can only improve. If you fall under the remit of the FCA, you will also find Perivan Solutions, Financial Promotions Checklist a useful read. With sections on how to ensure compliant content creation, approval, distribution and review, the checklist is a must-read for any regulated marketer. You can download a free copy here. If you are unsure how your activities fit within the rules mentioned within this article, please do take advantage of our Advert Review service.